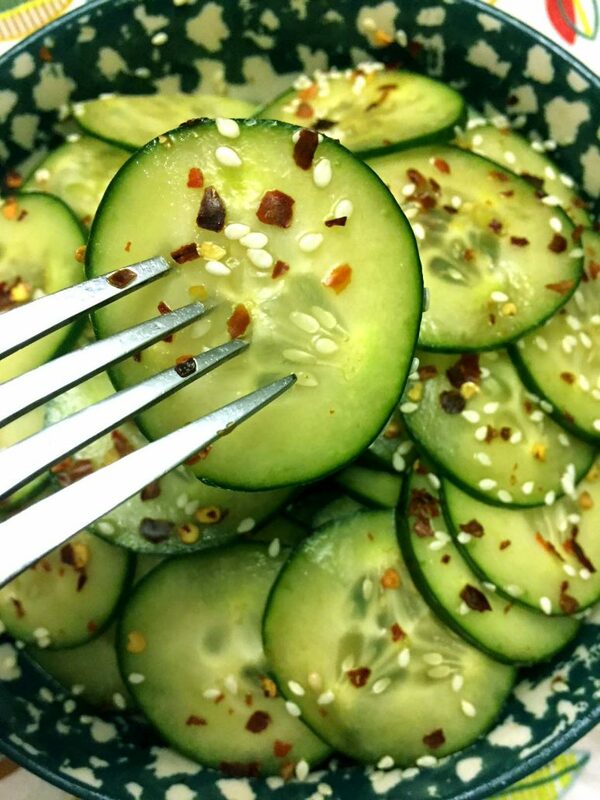 This Asian spicy sesame cucumber salad is so crunchy and addictive! 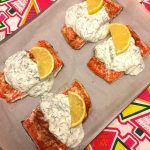 The dressing is simply mouthwatering! 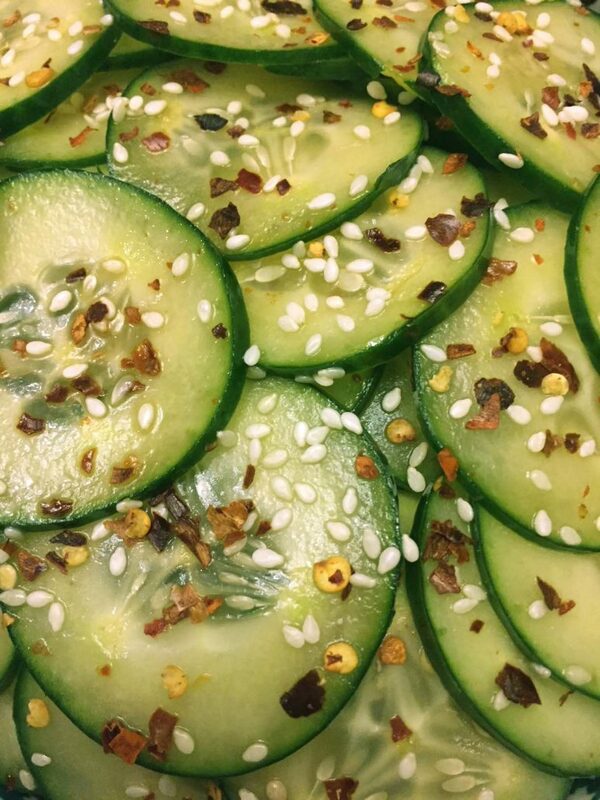 Once you taste one of these thin spicy marinated cucumber slices, you’ll automatically reach for more! 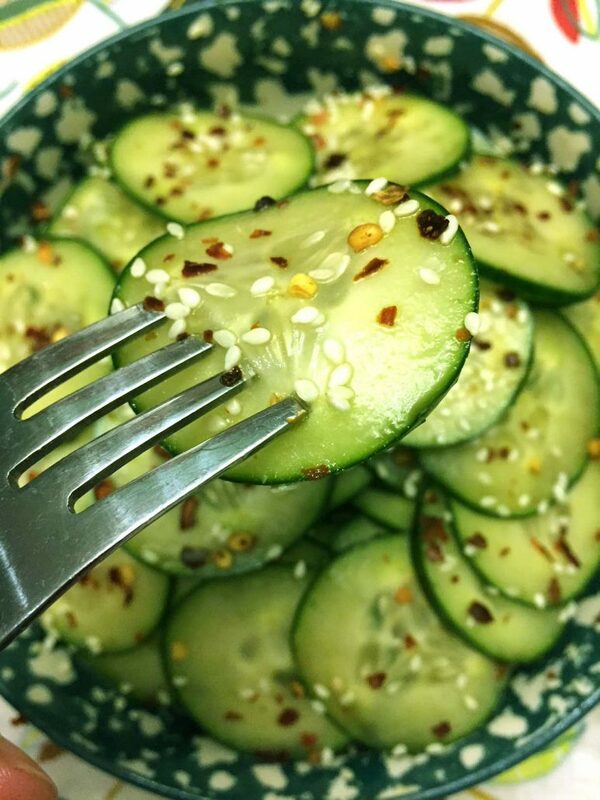 When the spicy red pepper flakes and the crunchy sesame seeds hit your mouth, you’ll rejoice in unique flavor of this Asian cucumber salad! The authentic Asian dressing of sesame oil, rice wine vinegar, soy sauce and sugar permeates the thin cucumber slices, making them taste truly marinated and so unique! 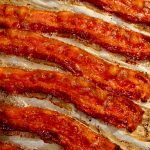 The taste is so complex, with a combination of sweet, sour, salty, tangy, spicy and crunchy – more, please! I love to get this cucumber salad in Japanese restaurants as an appetizer before sushi 🙂 Making the cucumber sesame salad yourself costs a fraction of what you pay in a restaurant! The restaurants serve you a puny bowl for around $5… you can get enough cucumbers to feed a crowd for this much! 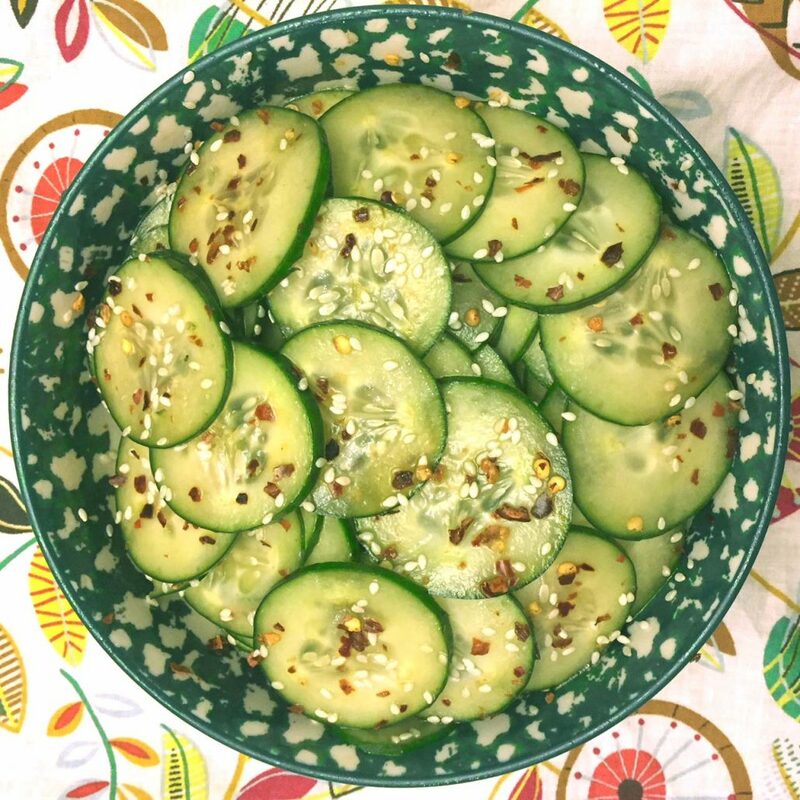 Since the cucumbers are sliced so thin in this salad, one cucumber really goes a long way! 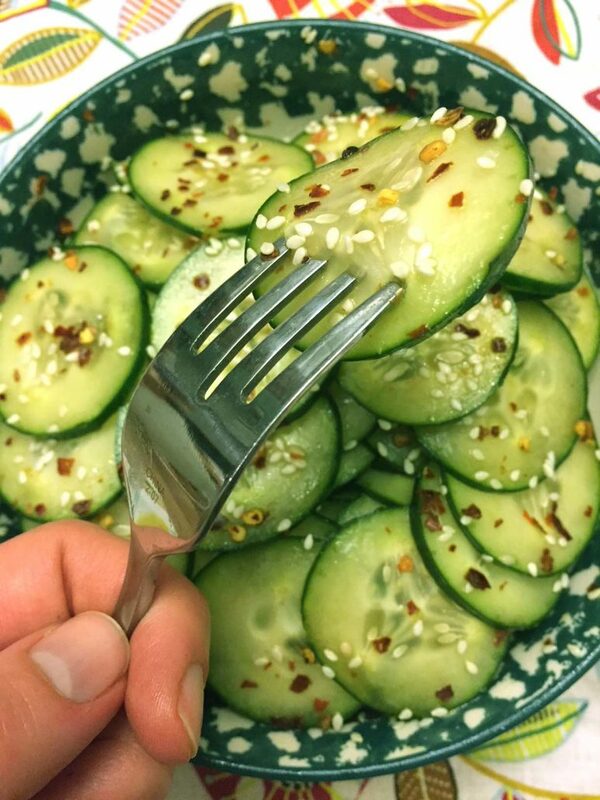 I like to make this cucumber sesame salad spicier than a typical restaurant version. They just sprinkle a few red pepper flakes mainly for the show and you can barely taste them. Since you are the one making the salad, you can control how much pepper you are getting and how much sesame too! 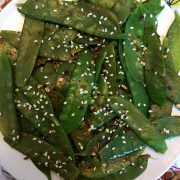 I like to be generous with the red pepper flakes and sesame seeds because that’s exactly how I like it – spicy and crunchy! When you make food yourself, you are the boss! Another great thing about this cucumber sesame salad is that you can make it as few hours ahead. 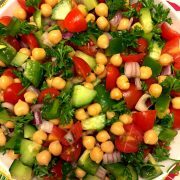 Most salads have to be eaten immediately, but this salad actually benefits from a few hours of marinating. 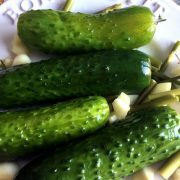 If not eating right away, just cover and put in a refrigerator, so the dressing will truly permeate the cucumber slices, yum! 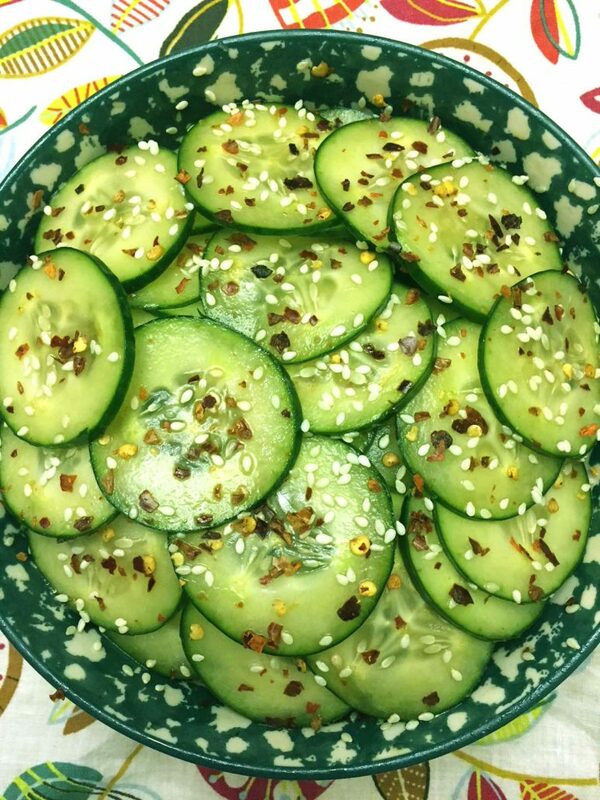 This Asian spicy sesame cucumber salad is so crunchy and addictive! 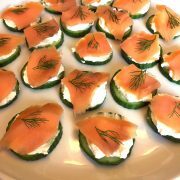 The cucumber slices taste so marinated and mouthwatering! 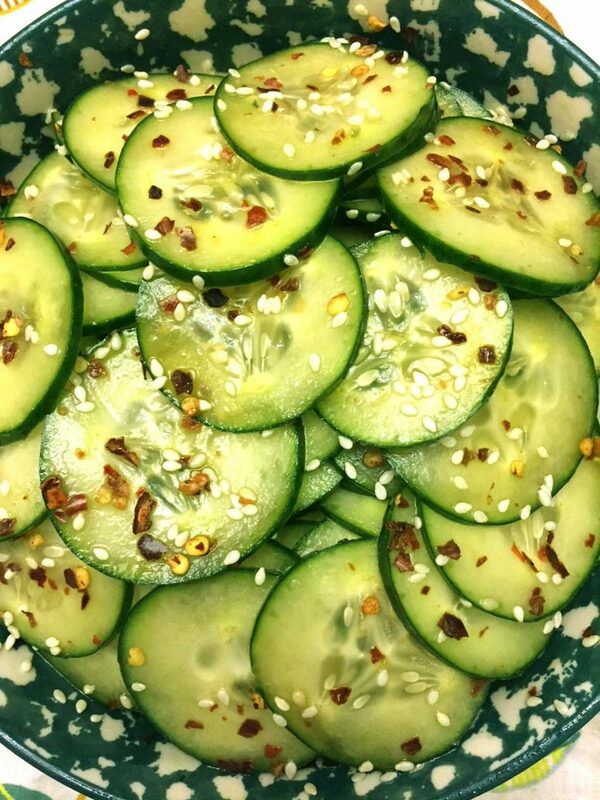 Super easy to make, this sesame cucumber salad is always a hit! Slice the cucumbers as thin as possible. Put the dressing ingredients in a cup: rice wine vinegar, sesame oil, soy sauce and sugar. Whisk with a fork to combine. 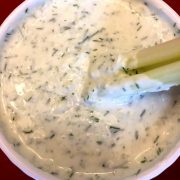 Put the cucumber slices in a bowl, pour dressing over them and toss to coat. 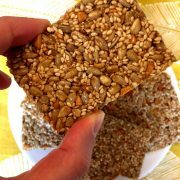 Sprinkle with sesame seeds and red pepper flakes and toss to combine. You can use any type of cucumber, including Persian! My favorite one to use is English cucumber.